This apartment, situated in Sciacca, in the Capo San Marco area, at just 200 meters from the sea, is furnished in a simple yet functional manner and equipped with a comfortable terrace with table and chairs for open-air lunching. Few steps away from one of the most appealing seaside resorts of Western Sicily, it is ideal for families or groups of friends. The apartment, with private entrance, features a private indoor parking and a free WiFi connection. This lodging gives you the chance to spend an unforgettable vacation, dedicated to relaxation and well-being, all the while enjoying a splendid view at any moment of the day. Upon arrival, guests will be guided and advised on the most popular tourist destinations and on the not-to-be-missed wine and dine events in the area, so rich in tradition. The apartment is located in the San Marco Renella region, famous for its thriving greenery, undersea diversity and virgin beaches. Upon booking, it is possible to request transfers to and from Palermo and Trapani Airports. Upon reservation, small pets are allowed at a small additional charge. Upon arrival, guests will be provided with some useful information on the most popular tourist destinations in the area and an internet access password. Sports fans can find e tennis court at only 100 meters, horse riding school at 1 km and a golf course at 15 km. The residence is 4 km from the historical center and the port of Sciacca, a city with a strong tourist connotation with its ancient buildings, testimony of its various dominations, with its precious ceramics, works of master potters and with its famous pink coral. 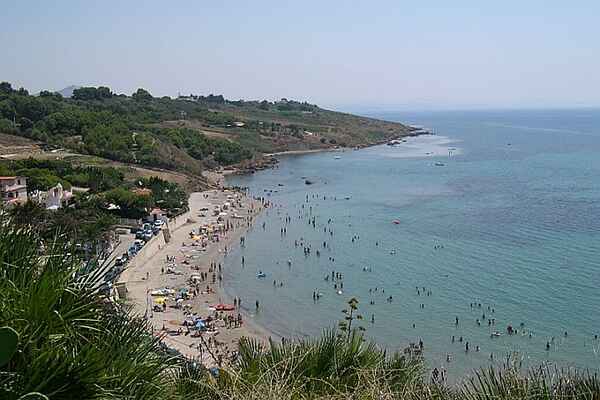 Sciacca also boasts a great food and wine culture, thanks to local agricultural products. The strategic location of the residence makes it the ideal starting point to visit, for example, the Valley of the Temples in Agrigento, Selinunte Archaeological Park, the Temple of Segesta, the numerous nature reserves as Torre Salsa and Zingaro Park and wild beaches of Eraclea Minoa and the Isle of Mothia in Marsala. Nearby you will find all necessary amenities such as shops, grocery stores, restaurants and banks.